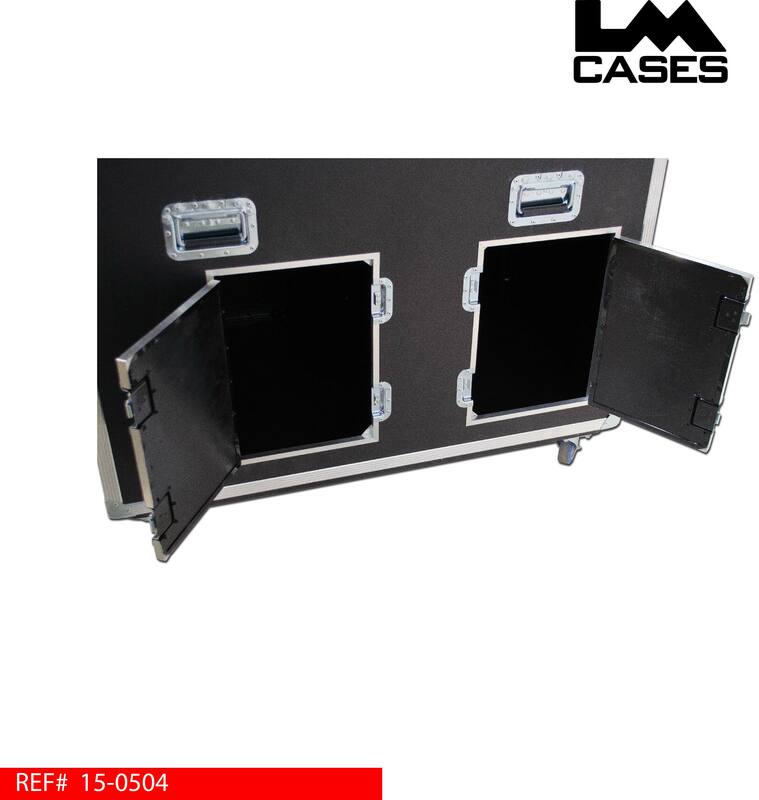 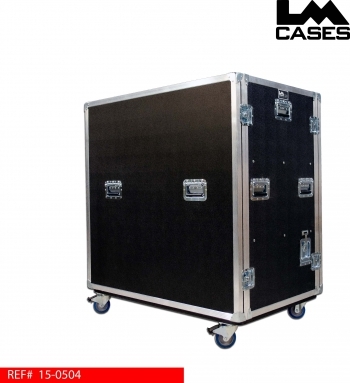 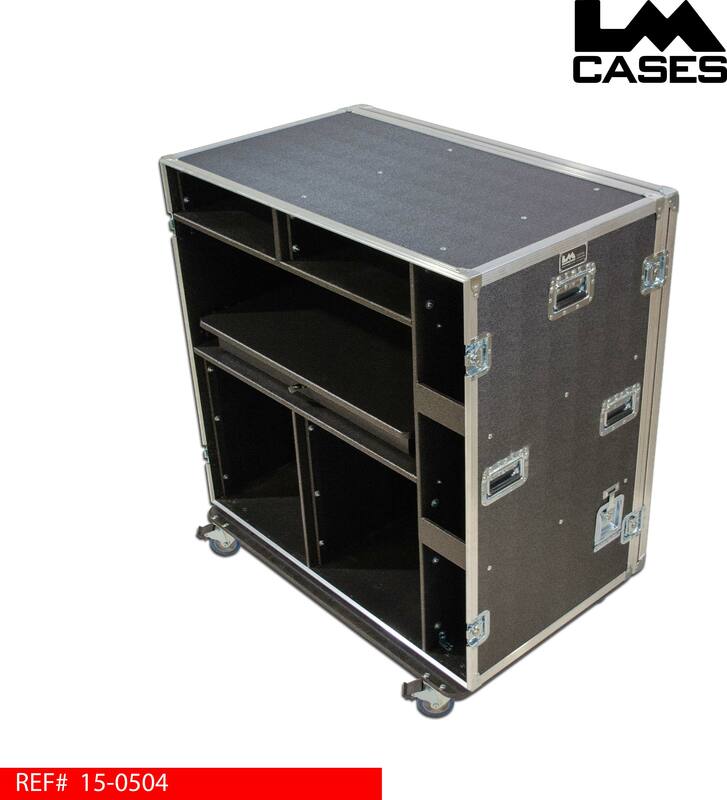 This case was designed as an audio workstation for a portable church. The console is mounted on a slide out shelf that uses multi-position locking latches allowing the shelf to be locked into various extended points to make operation easy. 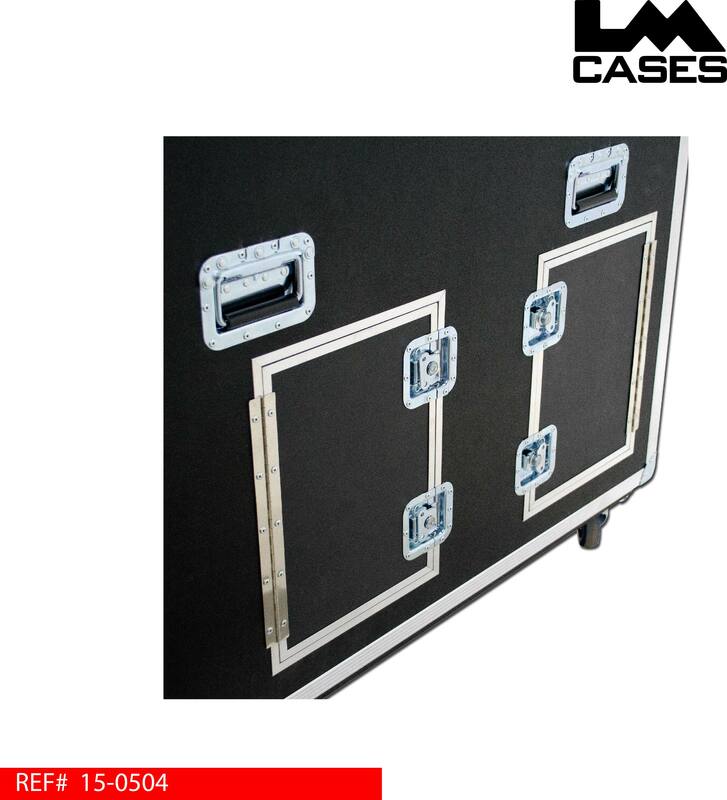 4RU racks are mounted above the console to keep wireless mics and IEMs in clear view. 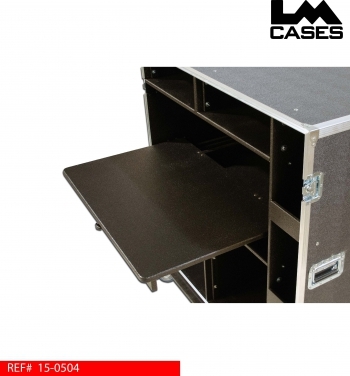 Below the console work surface are dual 10 space racks for storage of additional gear and rack mounted drawers. 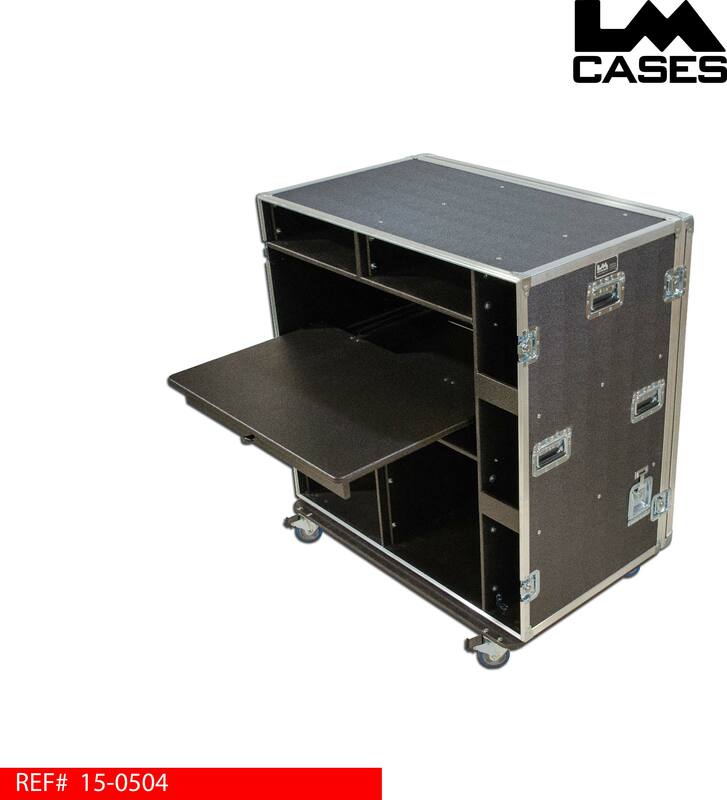 The racks and console work surface are built out of 3/4" Baltic Birch and finished with black texture coating. The case is designed to be used with the back lid on for a cleaner appearance. The back lid features 2 trap doors providing quick access to both rear rack sections, power and the digital snake Cat5 signal are addressed via a small trap door on the side of the case. 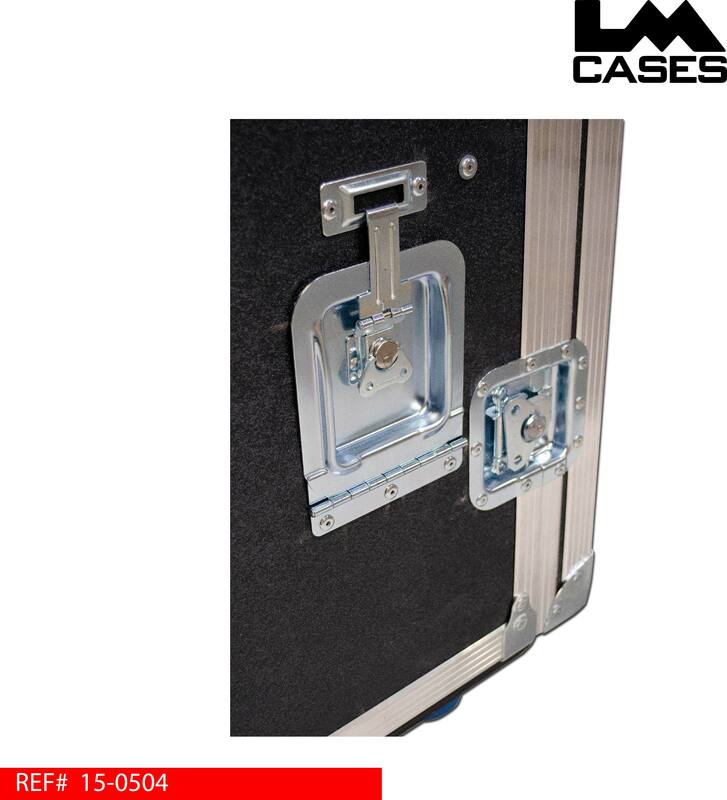 All sections feature cable passages allowing the case to remain wired allowing users to simply remove the front lid, pull out a cable bundle from the trap door and use the case with out the need for an extensive set up prior to each service. 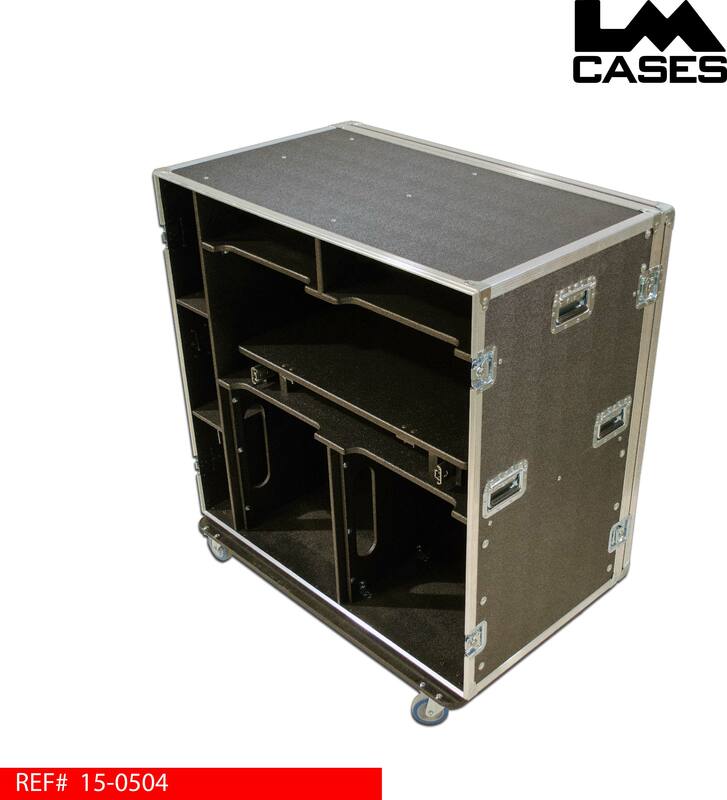 The exterior case is built out of 1/2" plywood laminated with black ABS plastic and featured deep recessed handles and Colson 4" casters.